By definition, something that is alluring is very attractive, enticing, fascinating, and charming. My personal explanation of what alluring is, "it draws you in; you feel pulled towards it." How on earth does this relate to decorating? Something I repeatedly ask my clients when choosing decor is "Do you love it?" My question is never "Where will you put it?" or "Does this go with your color scheme?" If you find yourself drawn to an item, get it! More times than not, it will fit seamlessly into your home. Below are some photos of items in my home that were purchased solely because I felt drawn to them. 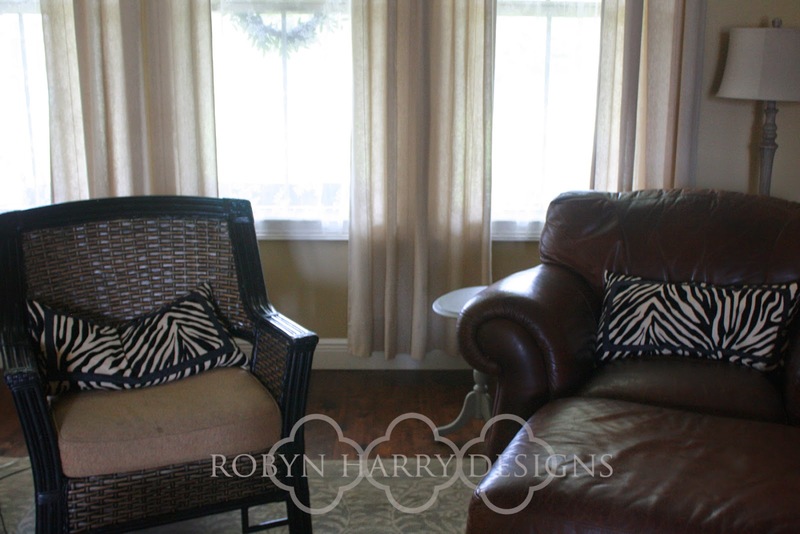 Since buying these zebra pillows six years ago, I have changed our living room colors from robin's egg blue to cream and flax. When I saw them at Target initially, I fell in love with them, but said to my very dear friend, "they don't go." She reminded me matchy-matchy is boring. She also brought up the most important thing to me, they reminded me of my dad. He passed away in 2005 from melanoma. Zebra print was the official "color" for the melanoma awareness ribbon. Something else that reminds me of my dad, way more than the pillows, is this quote from Abraham Lincoln. 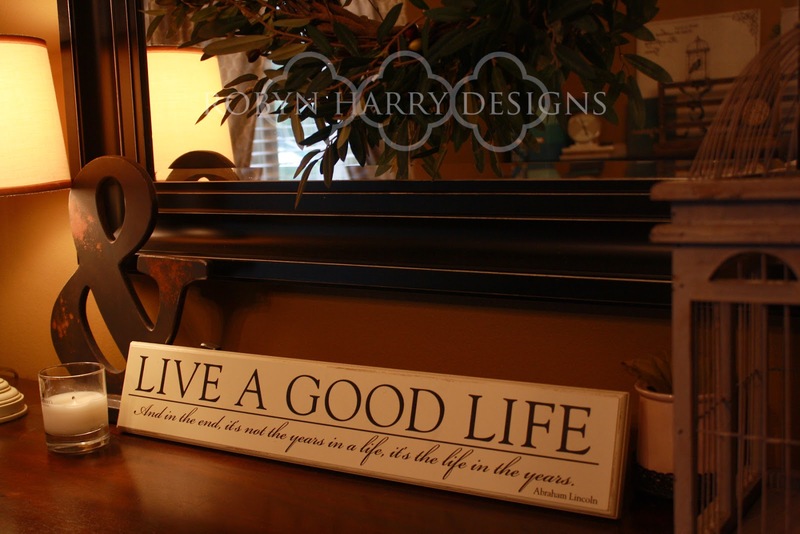 He said, "Live a good life and in the end, it's not the years in a life, it's the life in the years." My dad was a shining example of that. He lived a good life. He always chose joy. 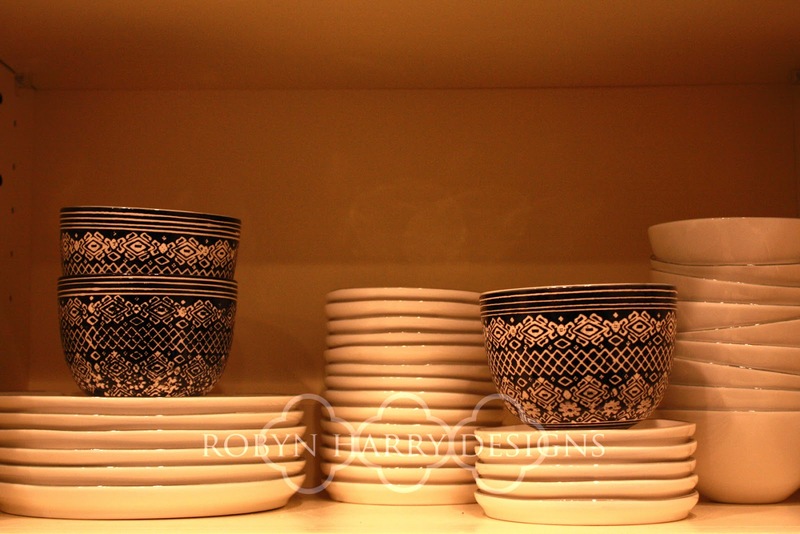 These silly, beautiful black and cream etched bowls from Anthropologie are my latest purchase of something I love. I was instantly drawn to it while visiting Birmingham several weeks ago. I had no idea what I'd do with one bowl, but I bought it. I LOVED it. I realized how well they go with our white dishes after I got home. So glad I picked up that one, but seriously wish I'd discovered them before they hit the clearance section! While living in Europe, we had the opportunity to buy some really cool items. I was constantly drawn to the vintage crates, but kept coming back to that naughty question in my head, "What will I do with them?" 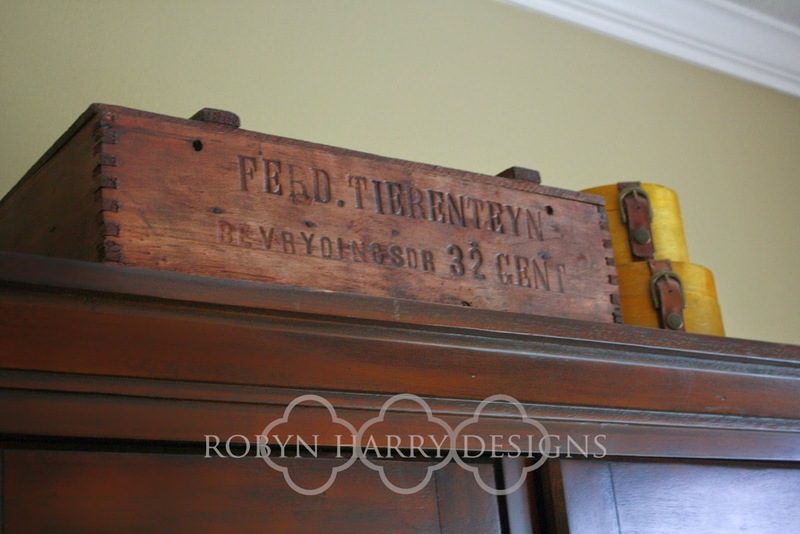 My sweet husband bought this one for me and it is perfect on top of our bedroom armoire. This crate is from a Belgian mustard company. I love seeing it everyday as it reminds me of our amazing time living abroad. This lovely sugar bowl is something I was initially drawn to because of the lines. I love the intricate curves of the handles and the delicate blue-grey flowers on it. When I picked it up and looked at the bottom, I saw it was made in the 1800s in Bavaria. Well, that did it for me. I purchased this sugar bowl and it's matching creamer. I had intentions of reselling the sugar bowl and keeping on the creamer. (I have a thing for pitchers and creamers.) I placed the sugar bowl on our mantel just as a holding place. The longer it sat there, the more I fell in love with it. 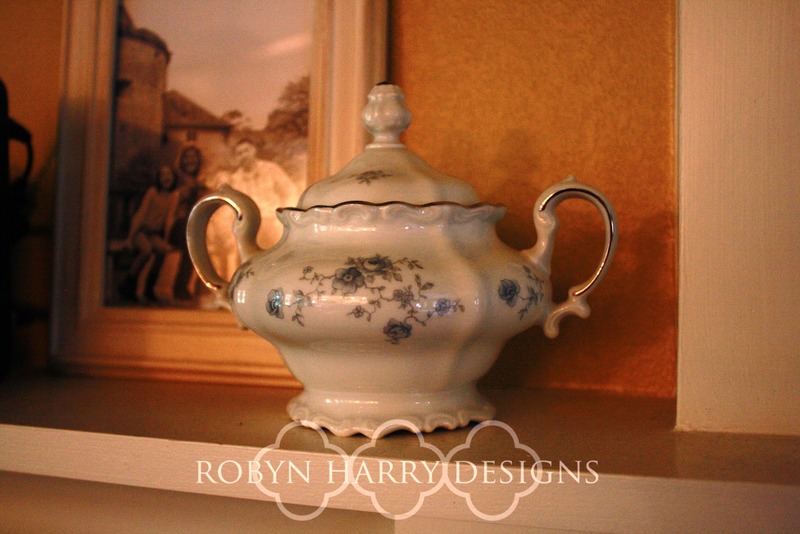 It now sits opposite an old ironstone creamer I found at a local shop and I love how it all looks together. I'm even keeping an eye out for another sugar bowl or two. 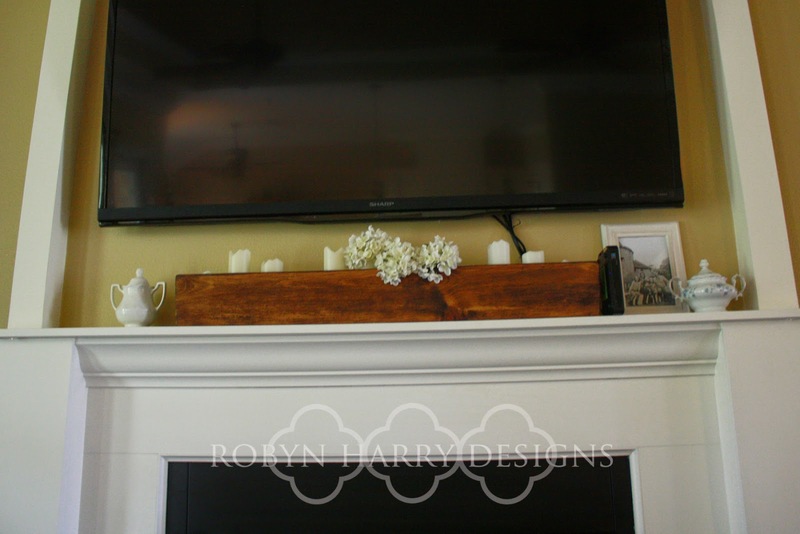 Your home should be a carefully curated collection of items that bring you peace and joy. That is the entire purpose of home decor after all. Decorating a home is personal. Each item is something special to you. It could be the colors of a painting speak to you. Perhaps you find yourself drawn to the shape and lines of a particular chair. Maybe there is an antique pitcher that reminds you of Saturday mornings in your grandmother's kitchen. Whatever the reason, if you love something, it belongs in your home. Choose heart over head in the case of home decor.